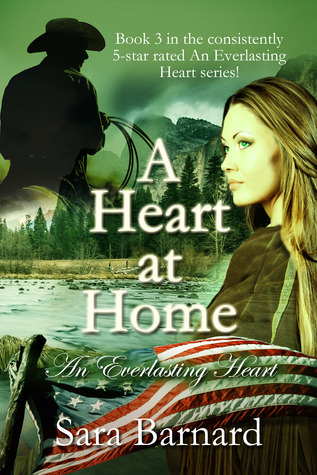 Put Down Romeo & Juliet and Pick Up Charlotte & SandersonA Heart at Home (Everlasting Heart Series) (Kindle Edition)Sara Barnard has done it again. This (Book 3) is the best installment of the Everlasting Heart series yet! Sara has a flair for westerns and for romance! As I was reading A Heart at Home, I was right alongside Charlotte and Sanderson, rubbing elbows with Quanah Parker, trying to wrap my head around "Calamity Jane" Canary's antics, and of course, enjoying time in the saloon with Wyatt and Virgil Earp. Through it all, the love between Charlotte and Sanderson was the perfect backdrop for the whole story. Whatever expectations I had going into this book were far exceeded ... and the ending. Oh the ending! How long must we wait for book 4??? This was the first book I have read in the "Everlasting Heart" series and it definitely makes me want to go out and get the first two! I love the background of the book because I have always been interested in history, and I love the way she works some of the famous (or infamous) characters of the Old West into the story, in a believable way. I'll be looking forward to the next book in the series! With each book that comes in the series, I like it more than the previous -- though I love the previous, too! Each book is written from some sort of experience bound together with my love of research and history. I truly hope you enjoy these adventures before going out and making some adventures of your own! Fun StorySet in the post Civil War South, the romance of Charlotte and Sanderson continues as they leave with their friend to accept a job as an Indian agent in California. I enjoyed reading the adventure along the way, including cameo appearances of real historic people. Entertaining and engaging with its ongoing theme of the importance of family. Sara Barnard intertwines history within the story in a very interesting way! She weaves in a famous and vivid characters such as a young Calamity Jane, Virgil and Wyatt Earp without a distracting impact on the overall story. Read full review in the 2014 February issue of InD’tale Magazine. This was an excellent book. It makes me realize I will need to get the rest of the books in this series. Again the author brings in historical characters we know of from history. The story was very good and showed a lot of family ties being made with or without any blood relations. How they had to survive during some very rough times. Captivating! I thoroughly enjoyed this series.The author is a veryMrs.. Bernard has the ability to transport the reader to the very core of the .people and their way of life. Hope to see more from her. Sara Barnard - Sara is a mother of four, animal lover and advocate, and conservationist. Little House on the Prairie, Dr. Quinn Medicine Woman, and Lonesome Dove are among her favorite shows/movies and books. Sara holds her B.A. in History and is the author of the historical romance series, An Everlasting Heart, from 5 Prince Publishing and recently debuted into the children's book realm with Chunky Sugars (5 Prince Kids), written for her own chunky baby.